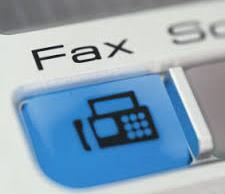 Fax machines are replaced by email faxing. Gone are the days when faxing required heavy weight machines, a designated phone line, an electric socket, paper, and ink. With Gmail fax coming to the fold, faxing has not just become easier but also faster. There are several questions about Gmail fax vs. traditional fax that need clarity. The tradition fax, the most important thing was the presence of the sender or receiver close to a ‘powered on’ fax machine. Then came the requiring of other things such as paper(s) and cartridge. With Gmail fax, none of that is required. Simply access your Gmail, write the text and press the send button. The only difference is that instead of an email address, a person would need to write the virtual fax number in the ‘To’ section while composing an email. Virtual fax numbers are easily available online. The rest is the same as sending an email. 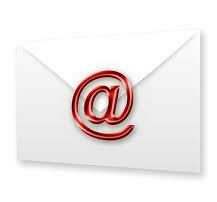 The email will reach the receiver’s inbox as a PDF file. This process can be done from anywhere with a help of a smartphone and Wi-Fi or mobile internet. Gmail fax can be easily sent via a smartphone or tablet which is portable and light in weight. Just about everyone has a smartphone these days and creating a Gmail id is not only free but very easy well. Once that is done, a person can send several faxes in a day without having to worry about the supplies, electricity, papers and most importantly queuing. In offices, employees often have to wait in ques to either send or receive a fax. Sometimes when the phone line is bad, the fax machine is of no use either. In Gmail fax vs. traditional fax, Gmail fax wins here. If the ink levels run low in a traditional fax machine, the text on the receiving document can hardly be read. Similarly, long distance faxing can also see the text appearing in dim color with dark patches on different sides of the paper. With Gmail fax, that happening is out of the question. The clarity of the document is top notch similar to that of an email. Moreover, in Gmail fax vs. traditional fax, Gmail fax allows for sending of pictures and colored text. The quality of the document and pictures is incomparable to a traditional fax. This entry was posted in Fax and tagged fax machine, Gmail fax, sending fax on 2016-10-27 by Sara Bell.